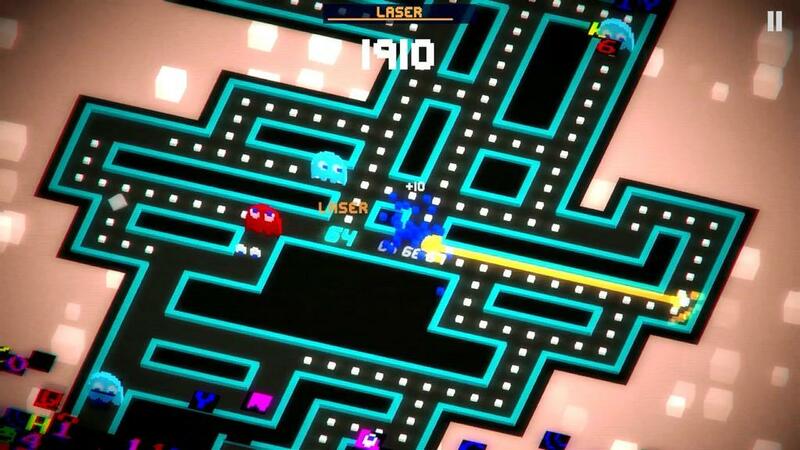 If there's a dead horse in the video game world that continues to be beaten, I hate to say it, but it's Pac-Man. It's not really Pac-Man's fault though. When something becomes so ubiquitous it is hard for it to branch out successfully. 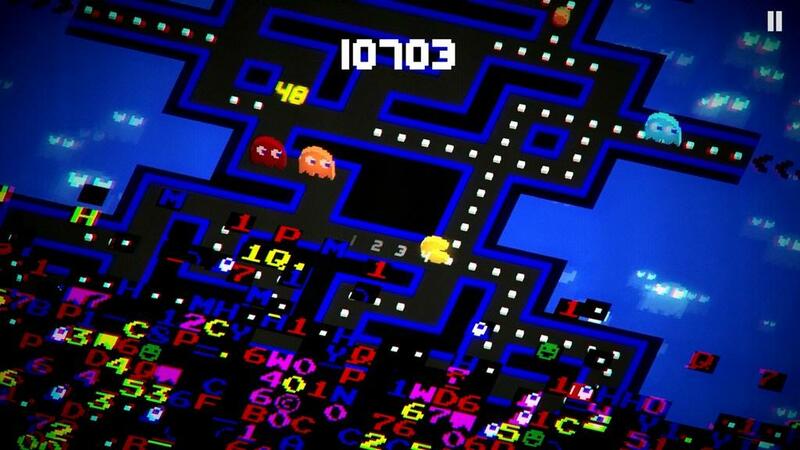 So ubiquitous is the Pac-Man, in fact, that every time video games are brought up around my grandfather, he brings up wistful memories of playing Pac-Man and being better at it than everyone else. So when something becomes solidified in legend like that, even if it's against its own will, the issue of modernity becomes a critical one. How is something like Pac-Man supposed to stay relevant? One would assume that the obvious answer is to take the Mario approach; Mario has been along for nearly every major gaming revolution, because Nintendo has constantly used him as a framework, a blank slate, to do new things. Yet for some reason, Pac-Man's answer to the question of how to stay relevant has appeared to be, for many years, do the same thing more and more and more! 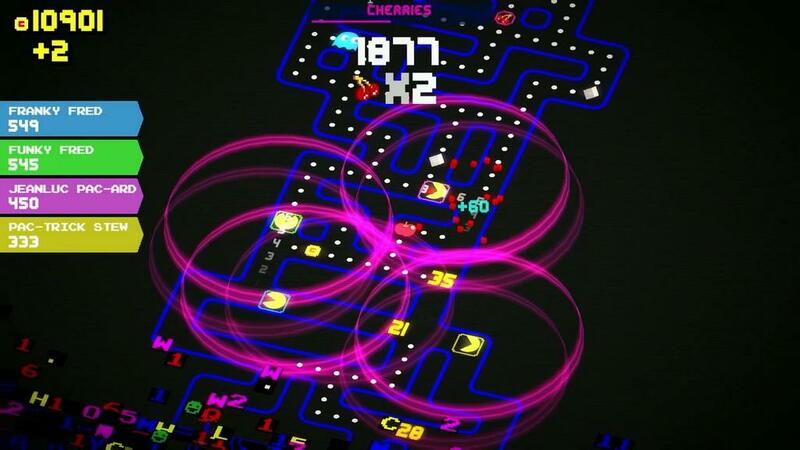 So as you might expect, PAC-MAN 256 is pretty much just Pac-Man again. And even though I think it's a bad habit to repeat yourself, I don't think it automatically makes PAC-MAN 256 a bad game. In fact, I've enjoyed what I've played. It does some new stuff too, though. The biggest change is that, rather than having levels where you eat all of the dots in order to progress, PAC-MAN 256 has you moving forward through (what I think is) an endless Pac-Man maze, with a glitch-y tidal wave slowly encroaching on you from the bottom of the screen, inspired by the Level 256 of lore. 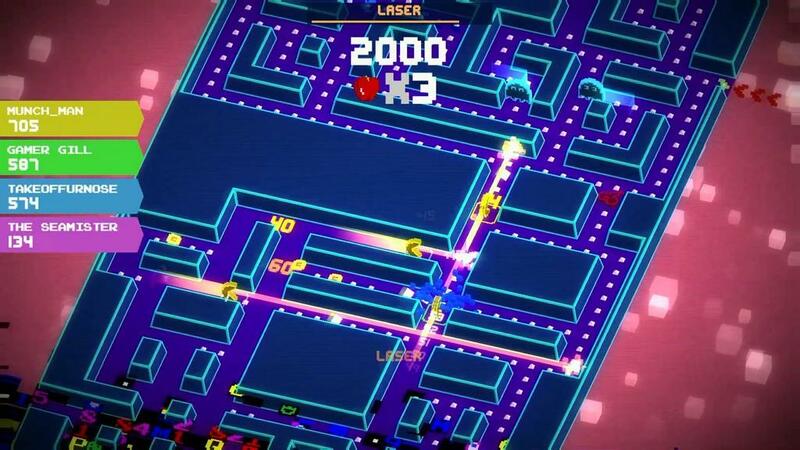 It’s basically Pac-Man: Endless Runner edition. 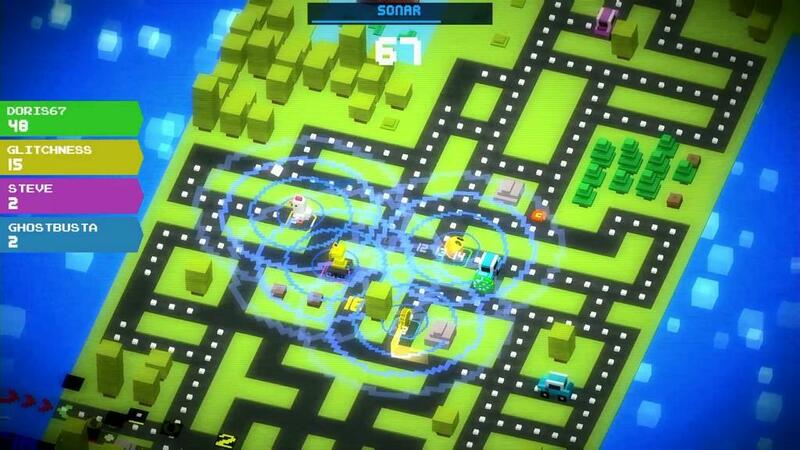 If you stop moving even a very small amount of time, the glitch-wave will catch up to you and Pac-Man is no more. It turns the game into a surprisingly tense endurance run, and combining the endless Glitch with trying to avoid getting pinned by the ghosts requires a lot of focus. The other big gameplay mechanic is the addition of upgrades and power-ups. There are several, probably around 20 upgrades, and you pick which three you want to appear on the field during your runs. They include things like a laser beam that destroys everything in the path ahead of you, a tornado that chases down ghosts, and a bomb that destroys everything within a certain radius. You start with three, and must unlock the rest by completing challenges and accumulating a certain amount of points. The coins you collect in your runs are used to upgrade these power-ups and make them more powerful. The ability to upgrade them and to select which ones you want adds a refreshing, if minor, sense of variety, as well as a sense of progression to keep you trying to get further and further. 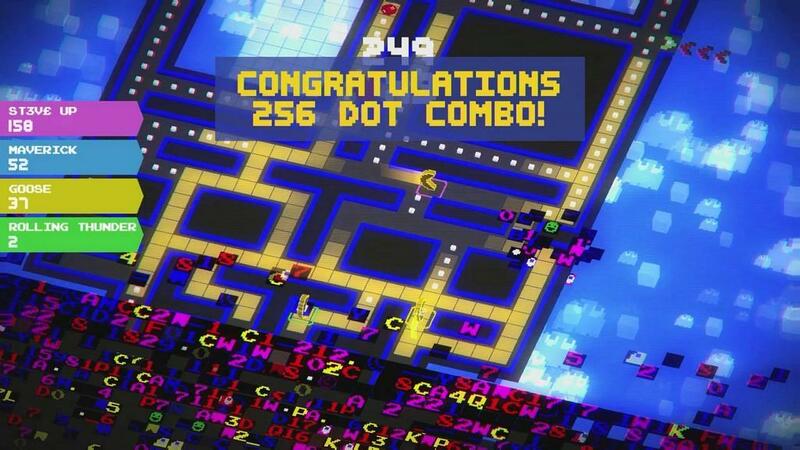 The most frustrating thing about PAC-MAN 256 is that it is just so unapologetically unambitious. I couldn’t help but be slightly annoyed while playing it that I was essentially playing the exact same game that came out 34 years ago. 256 feels like a symptom of a larger problem of a stagnant world of sequels and remasters. However, at the same time, I think that annoyance, despite how minor it is, is still misplaced and I am without a doubt overthinking it. 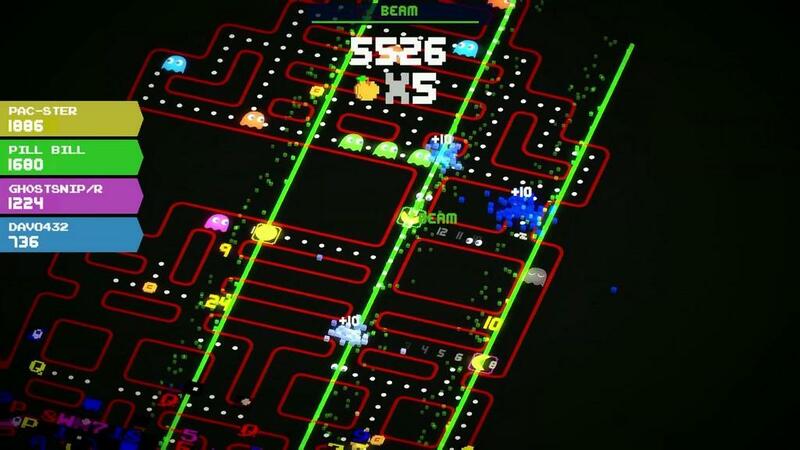 PAC-MAN 256 is a tiny game that doesn’t try to be more than that. Did I have fun playing it? Yes. Is it worth $4.99? Probably. Does it represent a trend in the gaming industry that everyone is sick of? Also yes. Am I expecting way too much from a game that doesn’t try to be something new and is just meant to be played for a few minutes when you’ve only got a little time? Almost certainly. So I did have fun, but despite the new additions, like most other versions of Pac-Man, this one is still almost exactly the same as the rest. And however great or iconic Pac-Man is, and however fun this version may be, it’s still frustratingly unambitious, and it's still just Pac-Man. PAC-MAN 256 is exactly what you probably assume it will be, which is frustrating and disappointing, but also fun enough to probably warrant its tiny price tag of $4.99.